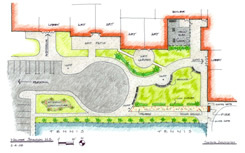 As part of the beautiful renovation at Walter Johnson High School a custom brick walkway has been installed across the area between the building and tennis courts. Over 300 engraved bricks have been installed in the walkway, but we do have room for more. You are invited to be a part of this project and of WJ’s legacy by contributing a permanently engraved brick for the new walkway. Your bricks can be engraved with the name of a student, family, teacher, coach, club, or team and will remain a permanent part of WJ. Funds raised from the sale of engraved bricks will go to the WJHS Education Foundation to be used to support student programs, staff development, and enhancements to WJ’s media center and other facilities. 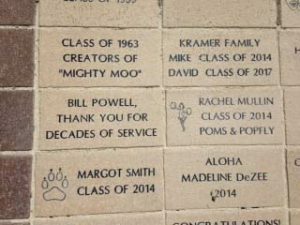 The purchase of these bricks is open to current students and parents as well as WJ alumni. What a great way to show your support and be remembered!